A cell phone signal booster is a must-have for anyone who spends time out on the open water. There aren’t any cell phone towers out at sea, after all. A marine signal booster from Signal Connect puts an end to dead zones and dropped calls when you and your guests are on the water. In short, it’s a device that improve cell signal on your boat, oil rig, or marina. These cell phone boosters typically consist of two antennas – one outside the boat, the other inside the cabin – and a signal amplifier. For those receiving calls out to sea, the outside antenna receives weak cellular signals, passes these signals through a cable to the signal amplifier, then passes the amplified signal to the antenna inside the boat. The inside antenna broadcasts the boosted signal to phones and other devices inside the boat. For those who want to place a call, a marine cell phone signal booster works in reverse. When you and your guests dial out, the signal passes through the inside antenna, then through the amplifier, before it’s broadcast to distant cellular towers by your boat’s by the outside antenna. Whether the calls are incoming our outgoing, a marine signal booster stays connected and provides good data speeds wherever even the slightest of signals is available. A cellular signal booster puts the luxury in luxury craft. Your guests expect a premier hotel experience on the water, which means that you must provide these amenities. This includes cellular connectivity. How else will your guests send the pictures they take to friends and family back home? 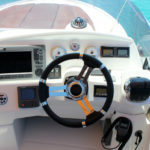 Signal Connect can help you choose the marine signal booster for your yacht. Service vessels such as tugboats spend a lot of time out to sea. Communication in these applications is vital, and a weak signal can be very costly and even dangerous. We have three marine cellular signal boosters that are ideal for you boat. Let us match you with the products you need to improve cellular connectivity on your service vessel or fleet. 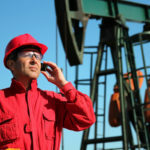 Off-shore drilling companies trust Signal Connect for reliable communications on their oil rigs. We offer the best antennas, amplifiers, and complete marine signal booster systems, and we’ve installed these units on many off-shore rigs. Let us improve cellular communication on your job sites with the right marine cell phone booster. Your crew will thank you! If you own a marina, you need to be sure that your guests stay connected. We carry a variety of cellular signal booster units and components to improve cellular reception and boost data speeds at your business. Signal Connect can match you with the right cellular signal booster system and equipment to handle these marine installations. If you’re looking for a marine cell phone booster, Signal Connect is an authorized dealer of Shakespeare marine products. This manufacturer has collaborated with a leading cell phone signal booster maker to produce the first truly marine-rated cellular booster solution. We’re proud to carry this advanced marine product. To find out if Shakespeare product are the best solution for your vessel, give our product experts a call. It’s never been easier to get improved wireless service for your marine installation. Just reach out and contact us here at Signal Connect to get things started. You can fill out our online form below to have a member of our team contact you to discuss equipment and installation. Or, you can pick up the phone and call us at 866-726-4182. 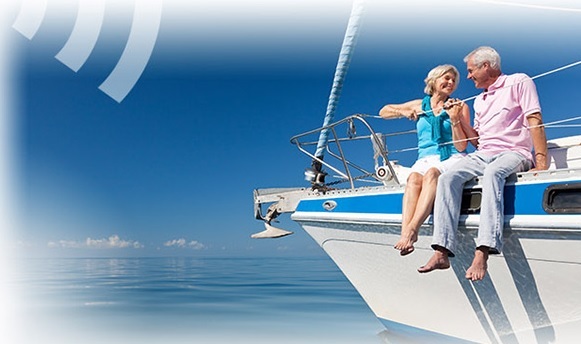 The marine experts at Signal Connect are always happy to help you with your marine cell phone signal booster! Signal Connect is a DIRECTV Authorized Dealer that specializes in marine satellite TV equipment, installations, and programming. You and your guests or crew will love the huge selection of news, sports, weather, entertainment, and international programming that DIRECTV has to offer in stunning high-definition and 4K resolution. 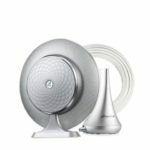 You can count on Signal Connect for the best satellite dishes, receivers, DVRs, and other satellite TV equipment, as well as professional installation.